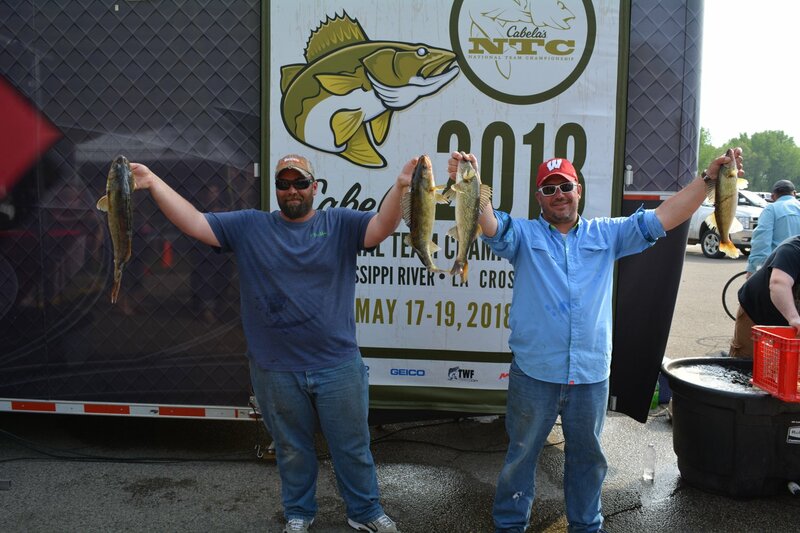 La Crosse, Wisc.—May 19, 2018—Hometown heroes Martin Kirchner and Michael McCormick racked up a total weight of 44 pounds, 15 ounces on their home waters to win more than $95,000 and top honors at the 2018 Cabela’s National Team Championship (NTC) May 17-19 on Pools 7, 8 and 9 of the Mississippi River out of La Crosse, Wisconsin. Presented by Cabela’s and hosted by Explore La Crosse, the three-day championship featured 400 of North America’s finest walleye anglers competing in two-person teams that qualified for the event through local walleye tournaments organized by clubs and circuits sanctioned by The Walleye Federation. Kirchner and McCormick, both of La Crosse, Wisconsin, set the bar high on day one with a leaderboard-topping 28-pound, 12-ounce, five-fish limit that put them more than 8 pounds ahead of their closest rivals. Day two was tougher, though, as they brought just one walleye weighing 1 pound, 13 ounces to the stage at scenic Veterans Park. Their two-day total of 30 pounds, 9 ounces was still enough to pace the pack, however, and they easily made the cut as the field was trimmed to the top 25 teams for the final day of competition. In an exciting finish, Kirchner and McCormick were the last team to take the stage on day three. 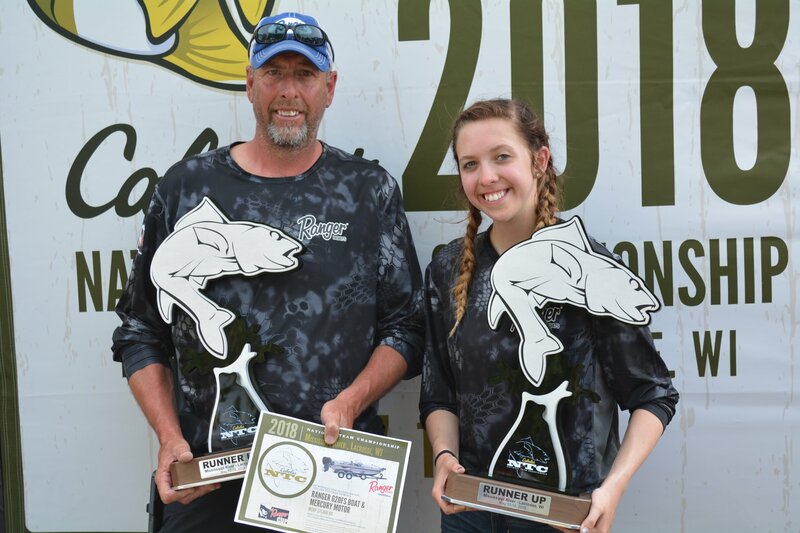 Trailing leaders Paul and Katie de Voss of Prairie du Chein, Wisconsin, by 13 pounds as they came to the scale, Kirchner and McCormick were elated when their 14-pound, 6-ounce day three limit pushed them back on top for the win. The pair focused on Pool 8, fishing willow cats on live-bait rigs consisting of a ¾-ounce sinker and 2- to 3-foot leader. Their favorite fishing area was a walleye-rich section of rocky structure in a main-channel bend where slick and slack water met. For their efforts, Kirchner and McCormick collected $95,595 in winnings, including the $25,000 first-place cash paycheck, a brand-new Mercury-powered Ranger boat valued at $70,095, the $250 Day One Geico Big Basket Award and $250 Day One Mercury Big Fish Award for a beautiful 8-pound Mississippi River walleye. Paul and Katie de Voss slipped to a very respectable second place with 43 pounds, 9 ounces. They earned $10,000 cash plus a hefty Ranger Cup contingency consisting of a new $70,095 Mercury-powered Ranger boat. 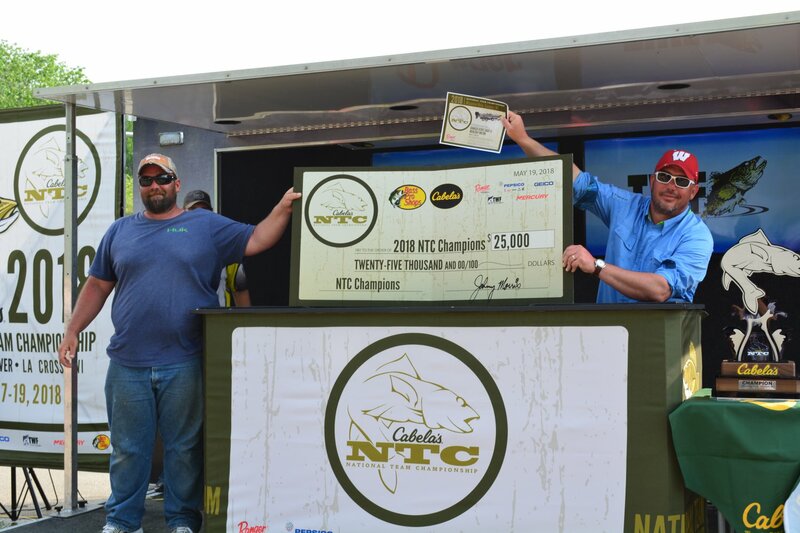 The 2018 event marked the 17th edition of the prestigious Cabela’s NTC championship, which annually draws hundreds of avid walleye anglers from across the U.S. and Canada. The Cabela’s NTC offers a lucrative payback of more than 400 percent of entry fees. Teams shared $250,940,000 in cash and prizes, plus 50 custom Cabela’s All-American rings, trophies, plaques and more. Another $1,000 in Cabela’s gift cards were awarded for big fish and big basket honors. As noted earlier, Kirchner and McCormick pocketed both awards on day one. On day two, Ryan Dempsey and Jacob Kaprelian won the $250 Ranger Boats Big Basket Award for their 16-pound, 6-ounce limit, while Ross Neubauer and Jaimee Tourangeau collected the $250 Pepsi Big Fish Award for an 8-pound, 6-ounce walleye. A total of 745 walleyes weighing 1,594 pounds, 11 ounces crossed the scale at Veterans Freedom Park during the championship. Originally scheduled for the Quad Cities, the event was moved to La Crosse less than two weeks before the tournament due to forecast flooding. 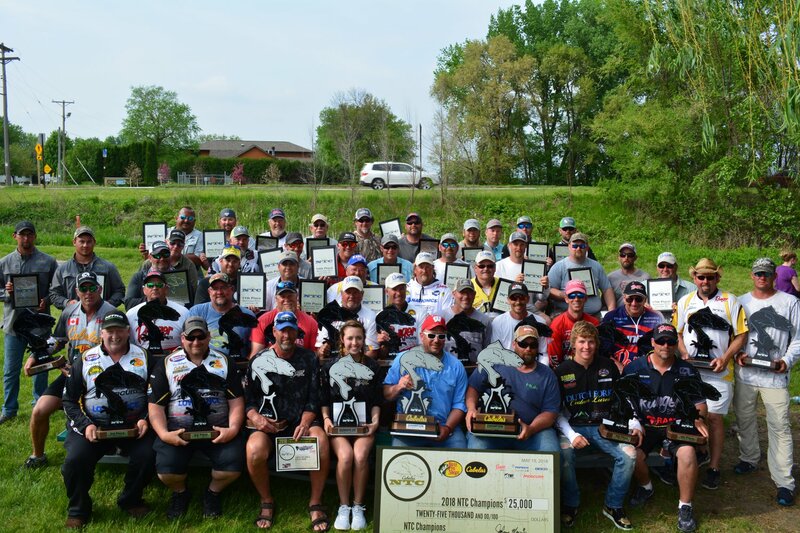 The Walleye Federation presented Dale Radcliffe of the TWF-sanctioned Mighty Miss Walleye Series with a free $650 entry into the Cabela’s Masters Walleye Circuit for the club’s support in making the championship a success. Adding to the excitement, weigh-ins were streamed live online at walleyefederation.com. The action was also filmed for national television airing on NBC Sports’ “Americana Outdoors” and the Pursuit Channel. Dates and airtimes will be announced at walleyefederation.com. Cabela’s NTC sponsors include Cabela’s, Bass Pro Shops, Ranger Boats, Pepsi, Geico. Mercury, Explore La Crosse, and TWF. Based in Ponca City, Oklahoma, The Walleye Federation manages the qualifying process and co-produces the event alongside the Cabela’s Corporate Brand Partnership Team. Qualifying for the 2019 Cabela’s NTC is now under way. For details, visit walleyefederation.com, or call (580) 765-9031.